76ers scored 51 points in the third. Is that a NBA record? Wow 51 points in a quarter in the playoffs! 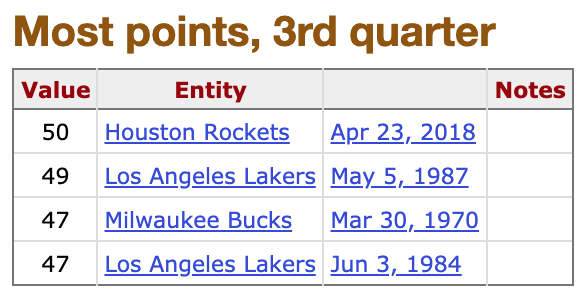 51 points is a new play off record for most points in the third quarter. Broke Rockets' record last season. roslolian, daywalker02 and Patience like this. Who the **** gets angry birds tattooed on their body !! I'm sure Jared Dudley was scored on ...ALOT! FUUUU Philly going for the scoring high. Are we just gonna ignore that boban's mid jumper is money!!! Wow...that was pretty dirty by Embiid. He could have broken that dude's jaw. Embiid will be fined for this. isn't that what mutombo did all the time? Dudley was out for this game.